By A High-Ranking EPF Official -- This just in! 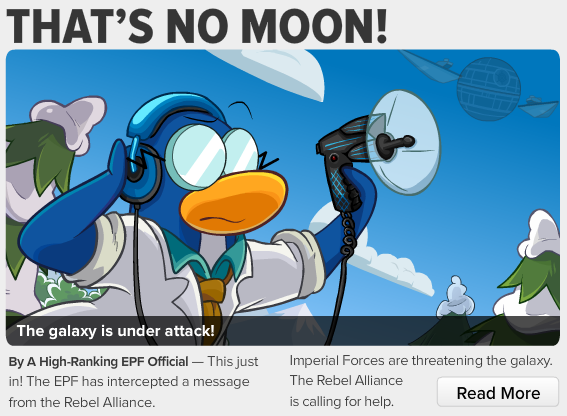 The EPF has intercepted a message from the Rebel Alliance. OMG guys! The deathstar is in sight! There's only a matter of time before we see Herbert around the island!! By Puffle Handler -- Crikey! What started out as a coin-digging extravaganza is now a gargantuan surprise! 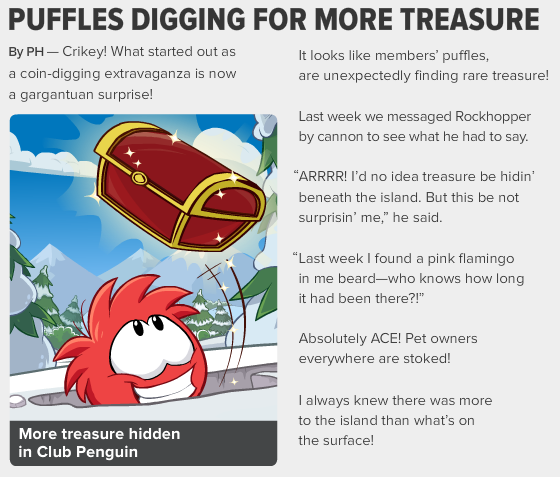 It looks like members' puffle are unexpectedly finding rare treasure! Be sure to grab your memberships and take your puffle to go digging! You might even find some rare items!! Penguin Style - Rock out with retro looks and bold summer style. The Stage - The haunting of the Viking Opera is on now, so get to the Stage to hit your highest note! 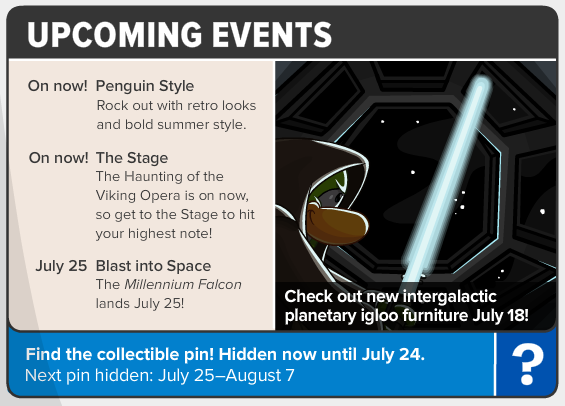 Blast into Space - The Millennium Falcon lands on July 25!